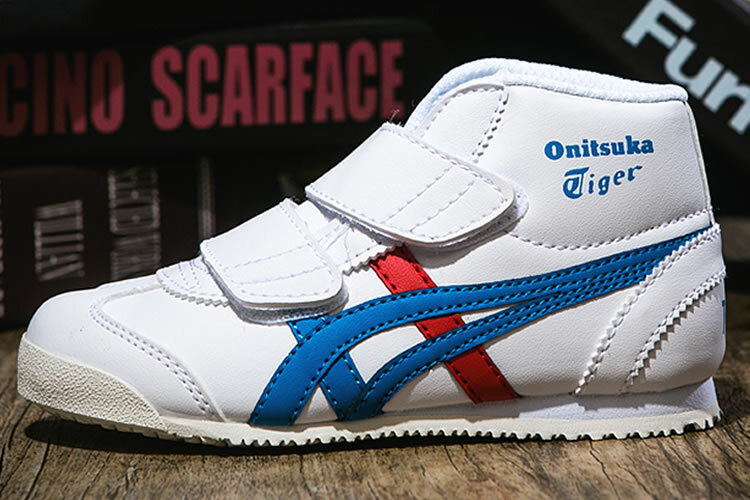 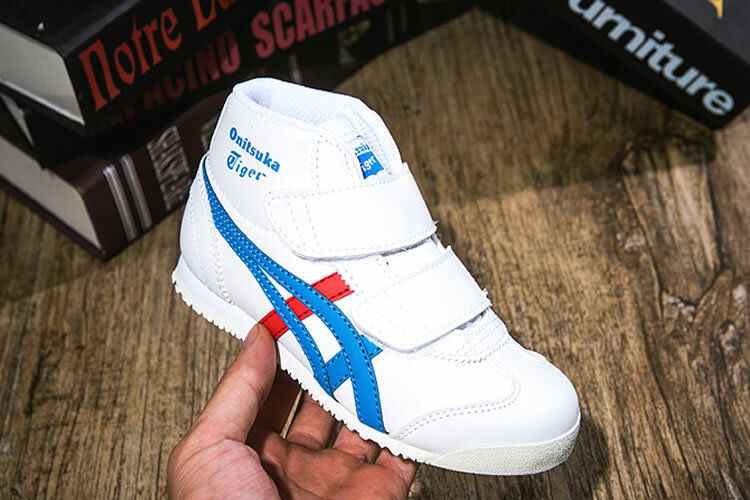 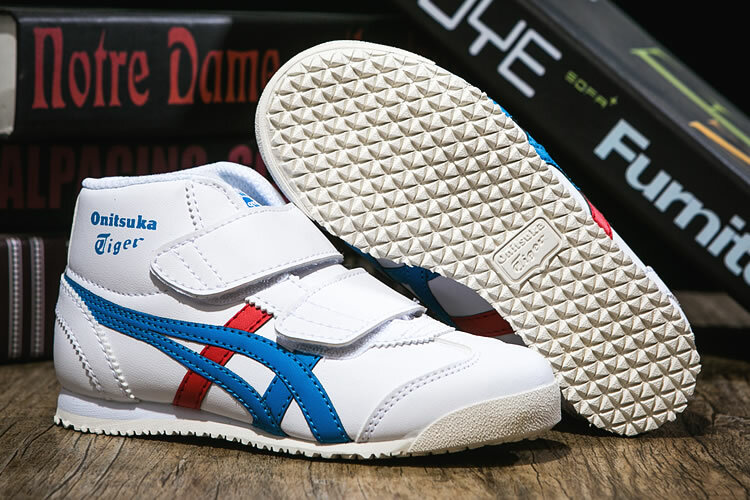 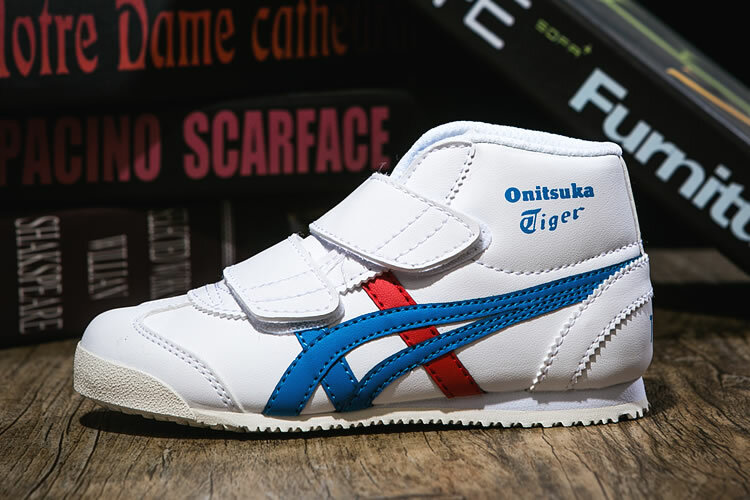 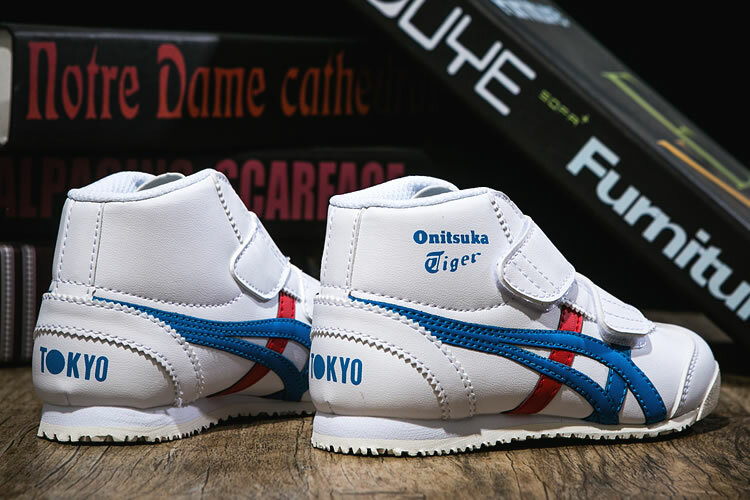 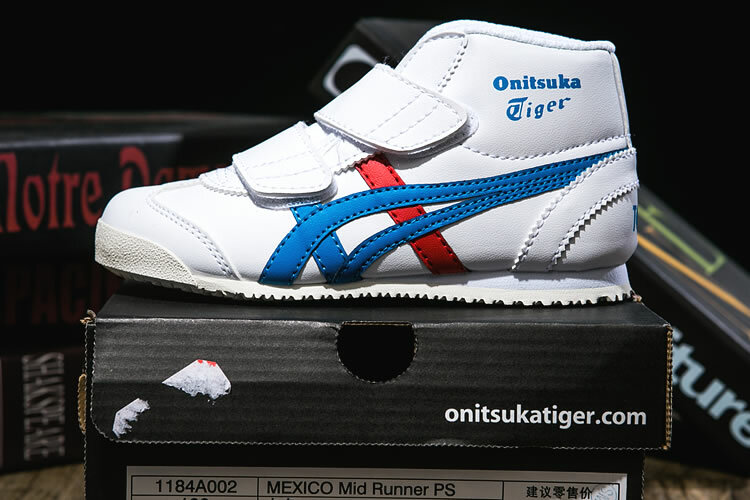 Introduced in 1966, The MEXICO MID RUNNER model was one of the first shoes with the famous tiger stripes and was worn at the Mexico Games in 1968. 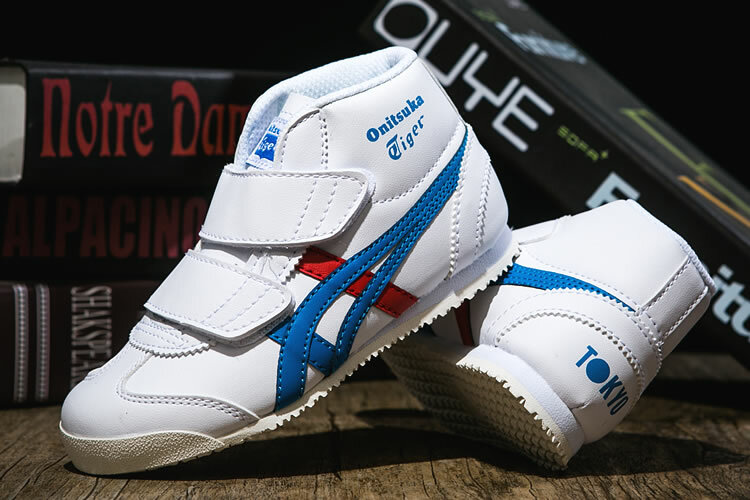 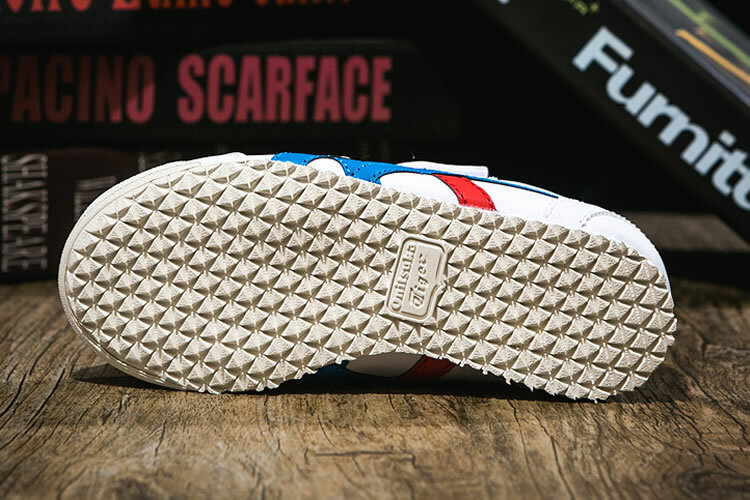 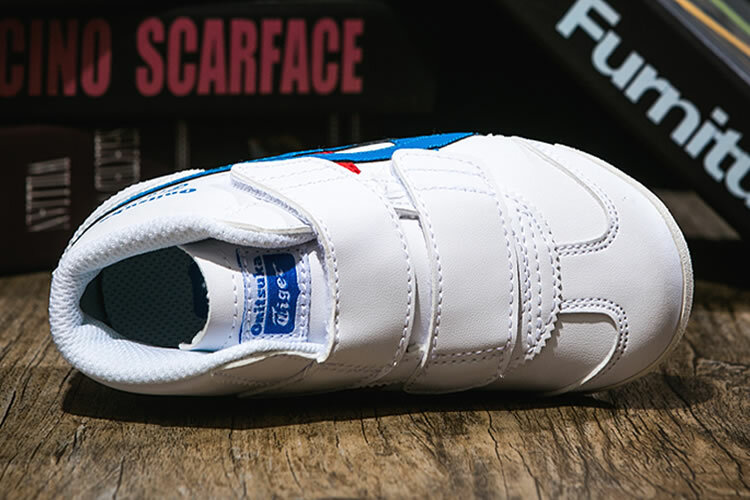 They feature a mid cut that was intended to support the ankle and was used as a training shoe for the Long Jump, Triple Jump, and Pole Vaulting events. 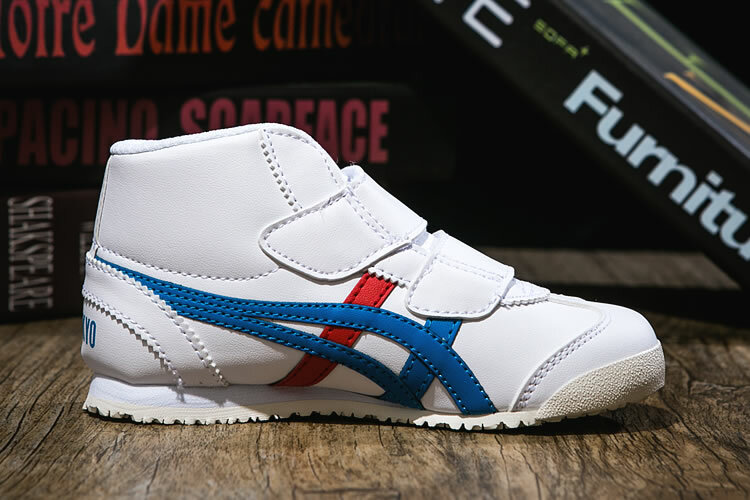 This season brings the MEXICO MID RUNNER PS model, a redesign of the classic training shoe designed for kids.